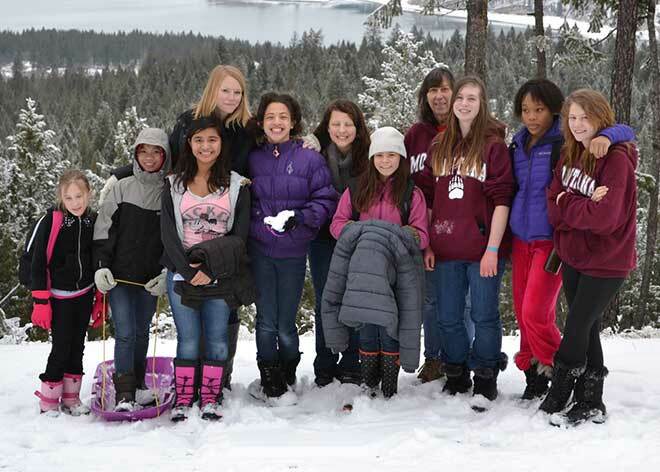 Gateway Freedom Ranch is an accredited Christian boarding school focusing on emotional and behavioral health for younger girls age 9-13 who are struggling with anger, depression, defiance, or relationships. Girls learn personal discipline and an “others-centered” approach to life that help them develop healthier relationships, strong Christian values and essential life-skills. Our most recent site visit was in 2016, we were impressed by the beautiful setting of the campus and homelike atmosphere surrounded by natural beauty. The homelike setting is fantastic for younger girls who may not fit well in larger or more clinical settings. Gateway is one of the few programs that can address the issues younger girls may be struggling with. In our discussions with the director, Lisa Marek, we have found that she has a big heart, loves God, and does right. Gateway Freedom Ranch provides a fully-accredited, year-round academic program whose student to teacher ratio will not exceed 10:1. They have the ability to provide an educational setting where students, if sufficiently motivated, can complete between 1 ½ and 2 years of academic work in a year’s time. School is in session year-round and students work at their own pace; so you may enroll at any time. Gateway does regularly activities that require physical exertion. From stacking wood for warm winter fires, daily running three seasons out of the year, swimming at least two times a week in the summer, playing volleyball or basketball to riding horses, girls will get the physical exercise her body needs. These physical activities always include a dose of fun, laughter and enjoying one another’s presence. There are lots of beauties and adventures to explore in this part of Montana!